Sought-for essentiality. The discreet charm of technique and precious details that exalt the environment in perfect harmony with the architectural space. Compositional simplicity in the T30 model with Evo top, with freestanding columns finished on four sides. 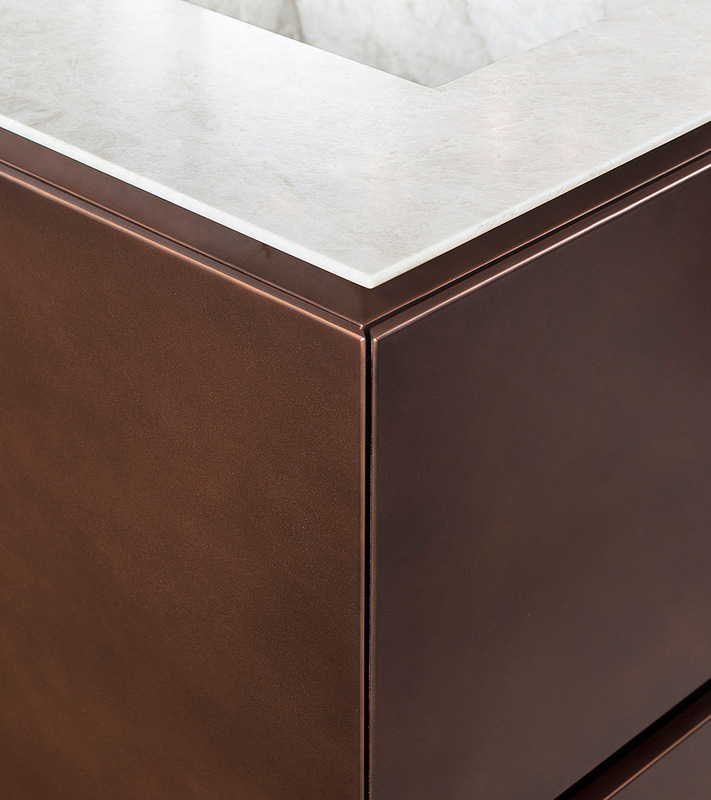 The worktop is conceived with a 45° cut behind the doors’ hinge, hiding its 20 mm thickness. 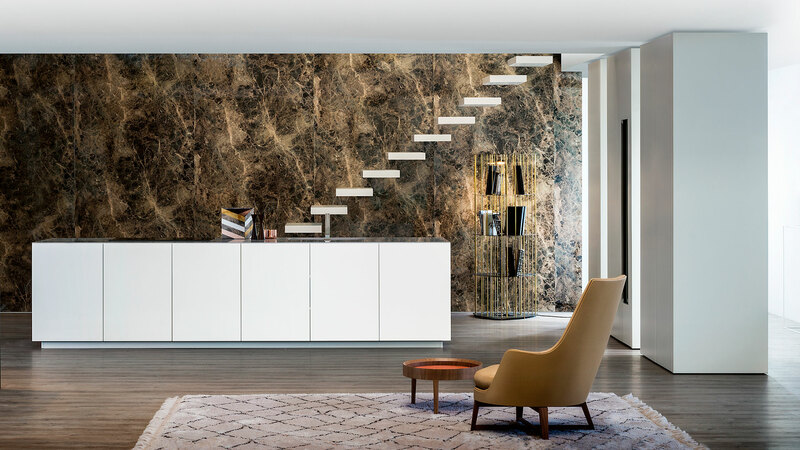 The bianco Zeus quartz is perfectly matched to the lacquered bianco opaco that renders the composition modern, essential and at the same time, full of details to discover. The layout features island and freestanding columns that divide the space, with a great sense of lightness. The D90 columns with push-and-pull opening are carefully finished on four sides and built in extra-height, ceiling flush. A tailor-made detail that distinguishes the care for details, typical of every TM Italia’s project. 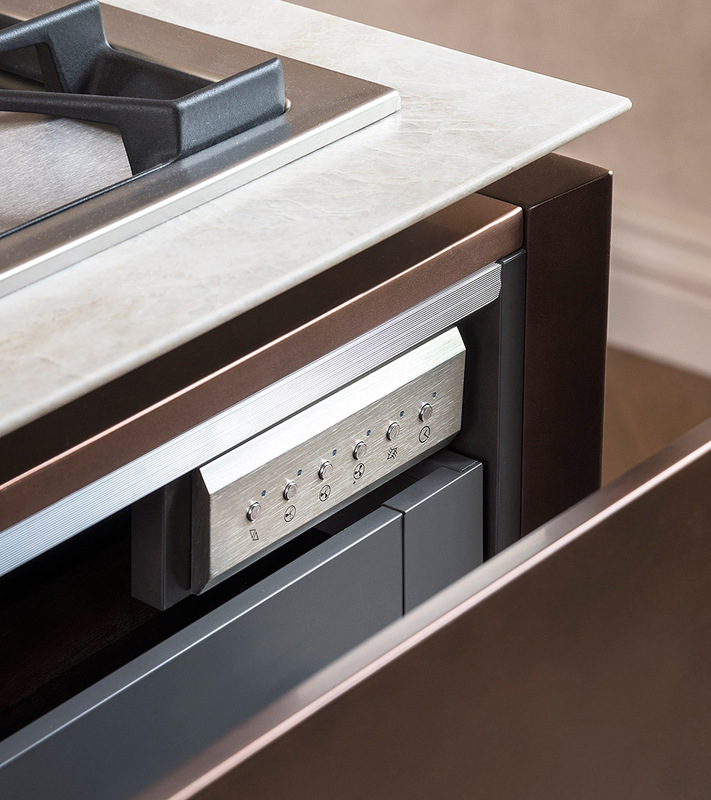 The island combines essentiality to total practicality, featuring an induction hob, downdraft hood, dishwasher, under-top sink. The T30 model doors and fronts conceal the thickness of the Evo top. 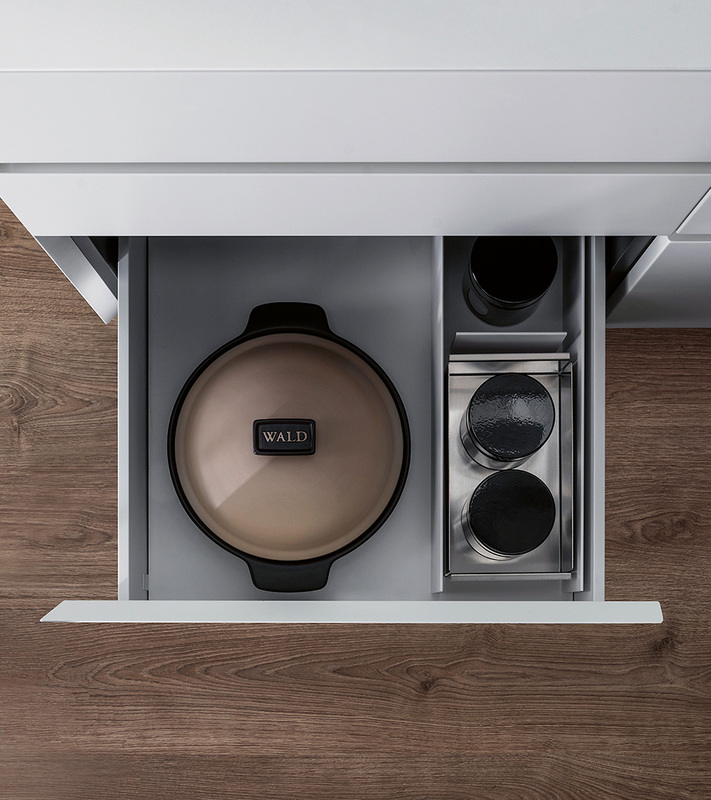 The front features storage compartments with telescopic hinges that allow opening the doors almost by 180º, ensuring easy access. 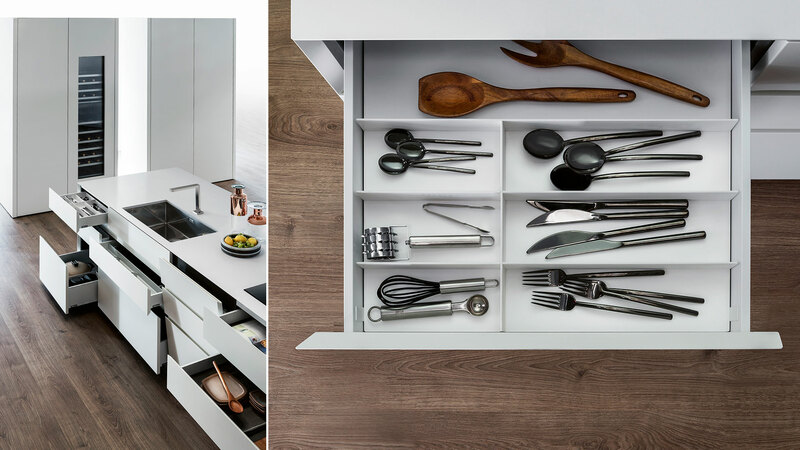 The back instead features drawers and bins that retain the design continuity also on the dishwasher’s door. 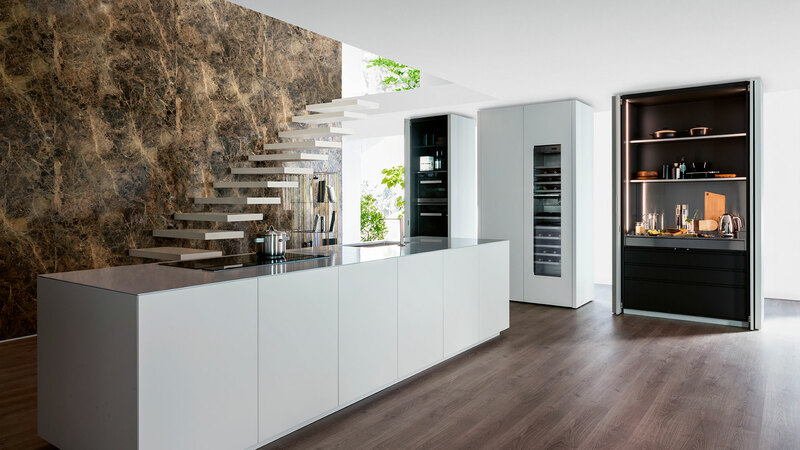 Featuring retractable doors, the equipped columns unveil extractable worktops in stainless steel, led lights with twilight sensors, visible shelves, oven, refrigerator and thermo-regulated cellar. 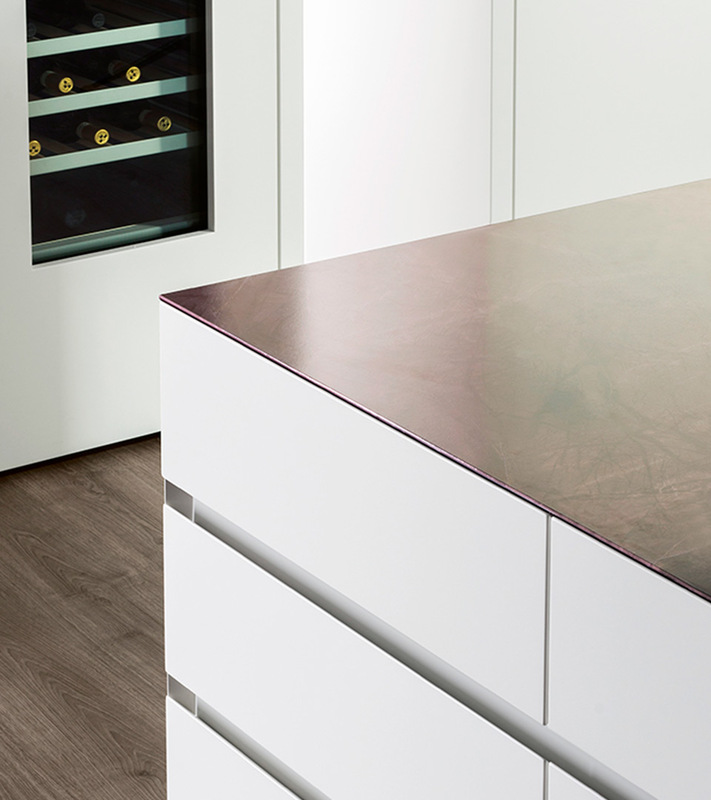 The equipped column features two drawers and a bin with lacquered grigio opaco G180 front. 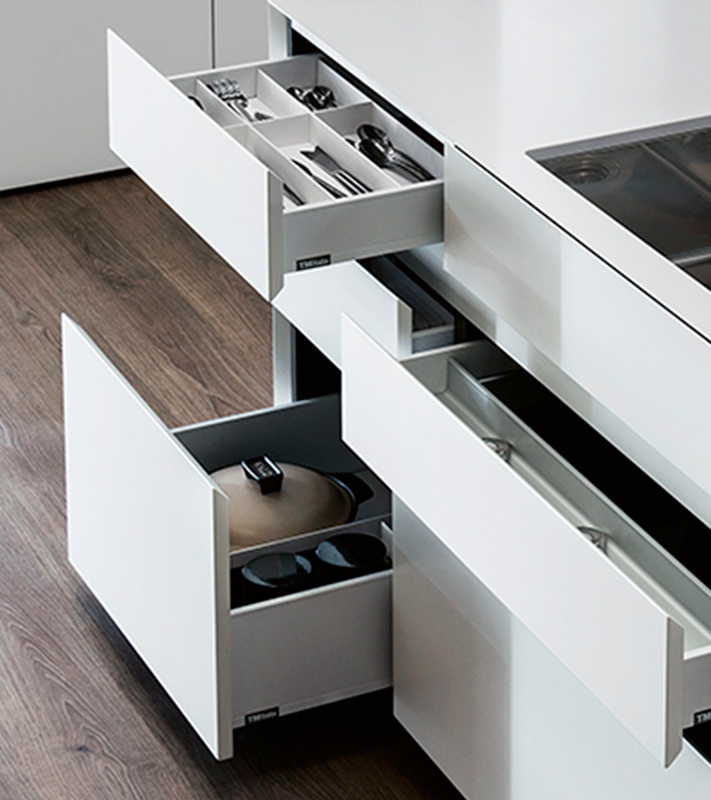 T30 is a modular kitchen system. Doors and fronts may be 22mm or 28 mm thick. – T30: doors and fronts have an edge with creates an opening grip thanks to a groove of extruded aluminium profile fixed to the structure. 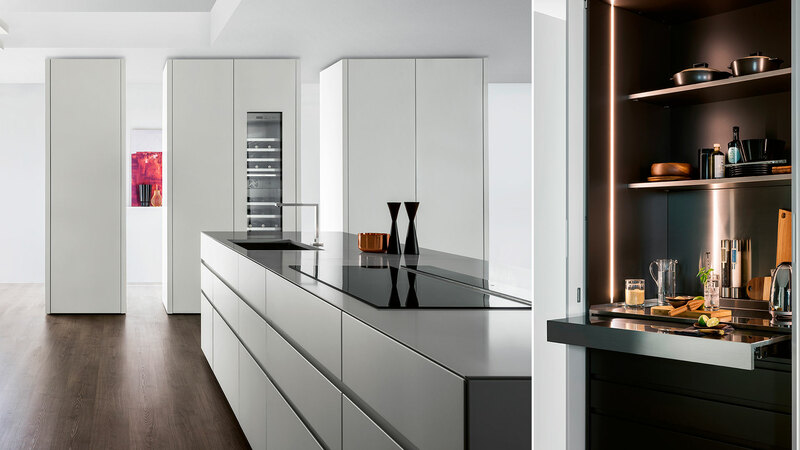 – T30 Evo: doors and fronts have an edge with an inclination of 30° which stick out of the structure and is in contact with the worktop. 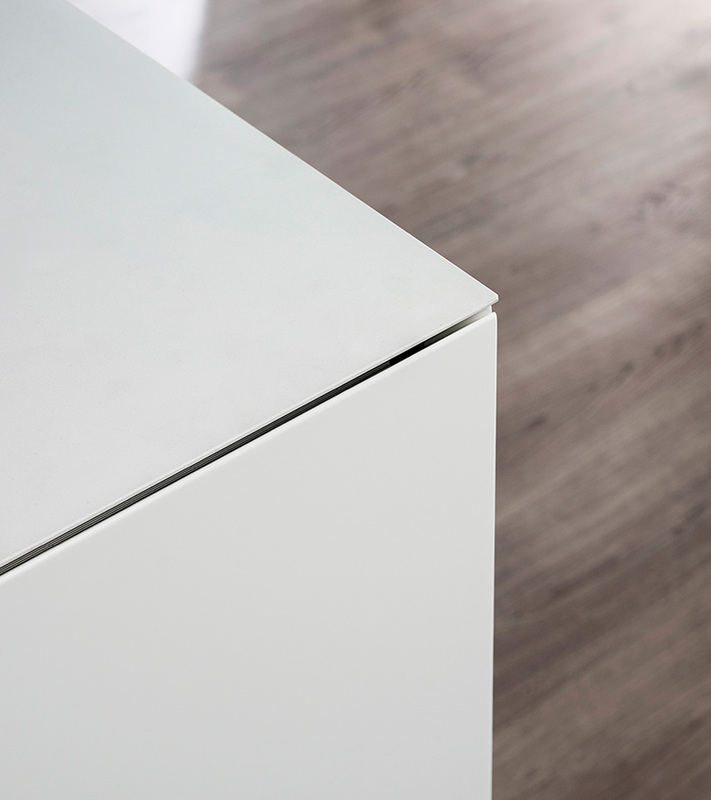 – T30 Air: the worktop has an inclination of 30° and protrudes over the doors, also inclined by 30°, creating a space to open the doors.